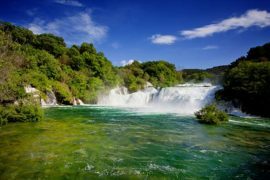 On the The Sunny Side of the Alps of Slovenia tour the Republic of Slovenia, a state in Southern Central Europe located at the crossroads of main European cultural and trade routes. 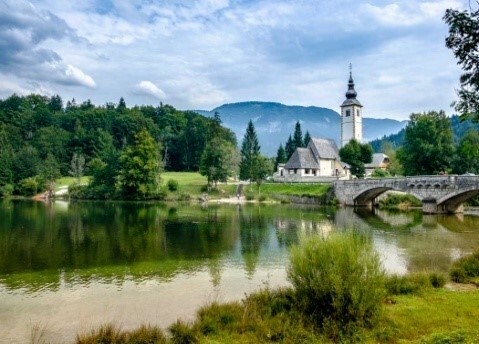 Slovenia is an earthly paradise of snow-capped peaks, turquoise-green rivers and Venetian-style coastline. 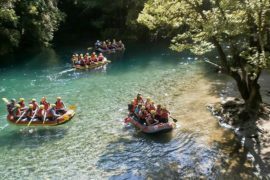 Slovenia enriches its natural treasures with harmonious architecture, charming rustic culture and sophisticated cuisine. 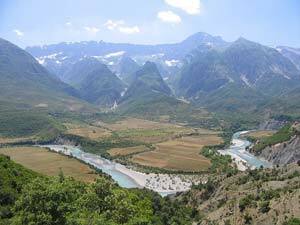 It’s incredible mixture of climates brings warm Mediterranean breezes up to the foothills of the Alpes. 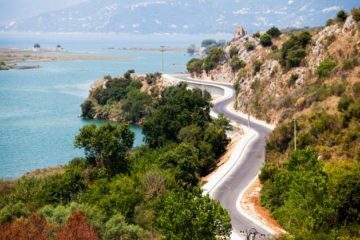 It is bordered by Italy to the west, Austria to the north, Hungary to the northeast, Croatia to the south and southeast, and the Adriatic Sea to the southwest. Arrive in the political and cultural heart of the Slovenian nation, Ljubljana. 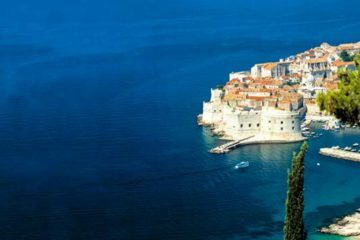 Slovenia’s capital and largest city also happens to be one of Europe’s greenest and most live-able capitals. 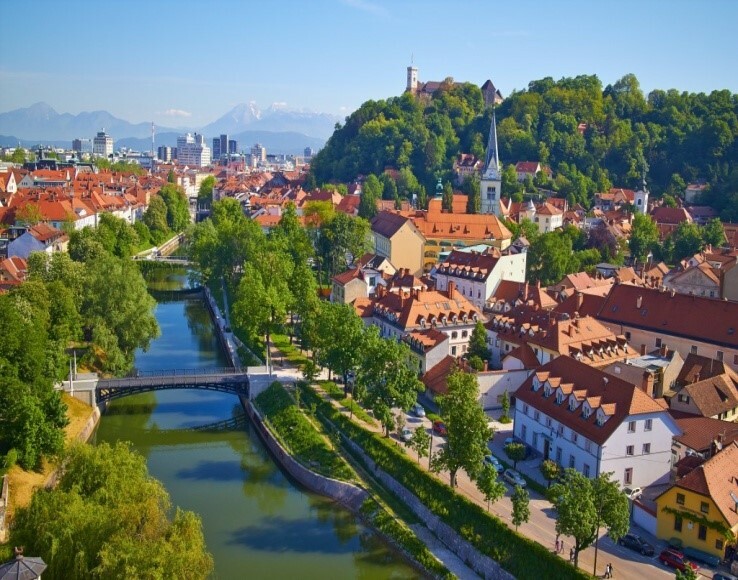 Indeed, the European Commission awarded Ljubljana with the coveted Green Capital of Europe title for 2016. Slovenia’s master of early-modern, minimalist design, Jože Plečnik, graced Ljubljana with beautiful buildings and accoutrements; attractive cities are often described as ‘jewel boxes’, but here the name really fits. And bringing life to these historical riches, the city’s 50,000-odd students support an active clubbing and cultural scene, and the museums, hotels and restaurants are among the best in the country. Dinner and overnight at your hotel in Ljubljana. o traditional occupations like dairy herding and farming. After the visit return to Ljubljana for dinner and overnight. Breakfast at the hotel and depart for a full-day visit to Maribor and Ptuj where you will meet with your local guide. 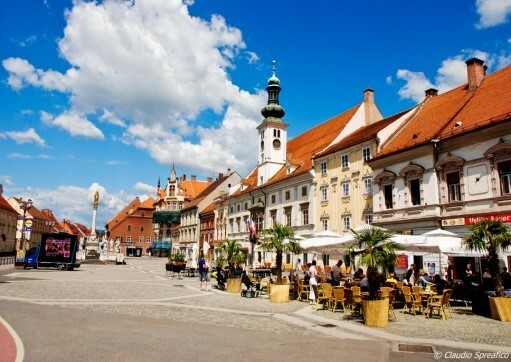 Maribor oozes charm thanks to its delightful Old Town, Glavni Trg, along the Drava River. Pedestrianized central streets buzz with cafes and student life and the riverside Lent district hosts a major summer arts festival. Maribor is the gateway to the Maribor Pohorje, a hilly recreational area to the southwest, and the Mariborske and Slovenske Gorice wine-growing regions to the north and east. Visit the Renaissance-style Town Hall that dates back to 1515 in The Old Town’s main square and the 15th-century Maribor Castle which houses a frescoed Knights’ Hall and the Regional Museum of Maribor with extensive displays of regional artifacts. Breakfast at the hotel and depart for a full-day visit to Lipica. Upon your arrival, you will enjoy a tour of the farm. 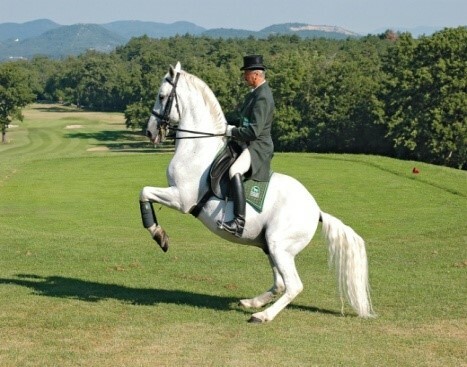 Lipica is the oldest European stud farm continuously breeding one of the oldest cultural horse breeds. As such it is of remarkable significance both for Slovenia and Europe because it preserves the cultural, historical and natural heritage of horse breeding. Leave Lipica for the Postojna caves. In Postojna, you will also join a guided tour. 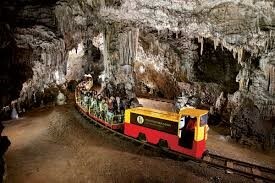 A legendary tourist train takes you to the underground network of karst tunnels, galleries and halls. Karst Cave at Postojna Cave is one of the largest in the world and is among Slovenia’s most popular attractions. For 140 years, it has been taking visitors to see stalactites and stalagmites and other features created by the water. 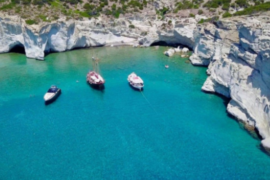 During an hour and a half long guided tour, you will learn about the most important karst features, see the largest, 5-metre-high stalagmite known as Brilliant, visit the oldest underground post office in the world and the most famous underground animal – the human fish. Return to Ljubljana for dinner and overnight.